PORT Central was deserted late yesterday, whether from the rain or the news that 54.3% of Bechtel workers voted their new industrial agreement up. Bechtel said the industrial action had impacted the projects but wouldn't reveal to what scale that impact was. Unions and families could celebrate a big win in their favour, in the knowledge that family friendly three week on, one week off rosters will come into effect at the tail end of the agreement. Workers will profit with back pay to May 1 and additional benefits, although those who took part in unprotected industrial action may face the Fair Work Commission. Bechtel will now lodge the agreement with the Fair Work Commission for approval. The difference between the "yes" and "no" votes was a marginal 583 votes, with more than 1300 people who chose not to vote at all. CFMEU members have been striking for the last week, in protest of the conditions that Bechtel was offering 8000 of its workers including motelling and rostering issues. They were however, silent at yesterday's news and didn't respond the interview requests. The Australian Manufacturing Workers' Union Queensland secretary Rohan Webb said the negotiation of a "brownfields" agreement on a project of this scale, with over 8,000 workers, was an Australian first. "This is a landmark agreement in its size and scale, and for the first time will deliver a 3/1 roster to workers on the Bechtel project," Mr Webb said. He said that while the timing of the implementation of the new rosters was less than ideal, the change puts employers on notice that generations to come should be able to get home to their families more often. "These negotiations were never about wages. They were about making sure that projects like Curtis Island are more family friendly and support local communities," he said. Bechtel Gladstone general manager Kevin Berg said the positive vote (54% of those who voted) now meant everyone could get back to normal work activities. 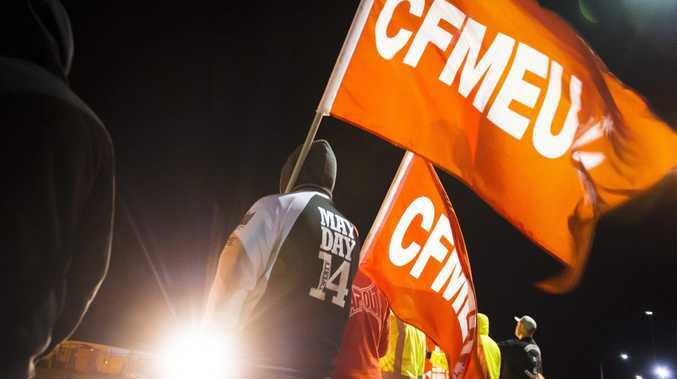 "There is no doubt the actions of the CFMEU and others over the past week have caused some disruptions for our employees coming to and from work, some interruptions to work on the projects and concern and frustration in the community," he said. "With this now behind us, we can all move on with the task at hand."